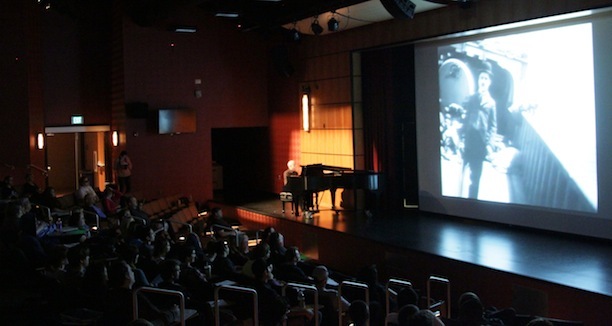 Pre-film lectures, offered at 6pm, are designed to enhance the audiences’ appreciation and understanding of the film by examining the film’s production history, learning about the players that brought the picture together, and examining the techniques that will be showcased in the film. Join us for the 6pm talk or the 7pm screening. Click here for the current schedule. The box office is open from 5:30-7:15pm on Wednesday nights. Permits are required to park on the Petaluma Campus. $4 daily permits are available from the machines at the campus entrances. A $20 Series parking pass is available from the box office.